Robert Saxton studied with Elisabeth Lutyens, Robin Holloway, Robert Sherlaw Johnson and Luciano Berio following guidance from Benjamin Britten. He won the Gaudeamus International Composers prize in 1975 and a Fulbright Arts Fellowship to the USA in 1986. He has directed the composers’ course at Dartington International Summer School and was artistic director of Opera Lab. He is a regular member of the BBC4 Proms broadcasting commentary team and was a member of the Southbank Centre board for nine years. He is Composer in Association at the Purcell School. 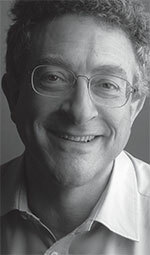 Robert Saxton has written major works for orchestras, choirs and chamber groups including the BBC (TV, Proms and Radio), LSO and London Sinfonietta; festivals including Huddersfield, Three Choirs and Cheltenham; and soloists including Teresa Cahill, Steven Isserlis and Mstislav Rostropovich. Recordings have appeared on Sony Classical, Hyperion, Metier, EMI, NMC and Divine Art. Robert Saxton was Head of Composition at the Guildhall School of Music and Drama and Head of Composition and Contemporary Music at the Royal Academy of Music. He is currently Professor of Composition and Tutorial Fellow in Music at Worcester College at the University of Oxford. Robert Saxton’s Quartet No 3 was commissioned by the Southbank Centre, London and premiered by the Arditti Quartet. His radio opera, The Wandering Jew, was recorded and broadcast on BBC Radio 3’s Performance on 3 by the BBC Symphony Orchestra and BBC Singers and released on NMC in 2011. A major study of his 1991 opera Caritas by Wyndham Thomas was published by Ashgate Press in 2012. Recent commissions include Time and the Seasons, a song cycle for Roderick Williams and Andrew West at the Oxford Lieder Festival 2013; Shakespeare Scenes, a Trumpet Concerto for Simon Desbruslais and the Orchestra of the Swan; Hortus Musicae, a piano cycle for Clare Hammond at the City of London Festival; and new works for the City of Cambridge Brass Band, Merton College, Oxford, and the Presteigne Festival. He is married to the soprano, Teresa Cahill. Robert Saxton is published by Chester Music, UYMP and Ricordi.